It’s safe to say that we’re generally a fan of spices and spice-filled dishes. Call it a personal preference for Arousing Appetites. As a result, it might not be everyday that you’ll see us so enthusiastically approach a recipe that is so noticeably devoid of spices. Pira caldo, however, is undoubtedly an exception to the rule. In order to understand pira caldo as a dish, it’s important to understand the circumstances from which the recipe most likely came. The history of Paraguay as a Spanish colony followed a fairly different trajectory than the rest of its South American neighbors. Prior to the Spanish arriving in the 1500s, Paraguay was home to distinct sets of ethnolinguistic indigenous tribes. The Spanish settled into Paraguay for 250+ years in hopes of creating a Christianity faith-based nation only to have that plan usurped by the country’s first dictator, Jose Gaspar Rodriguez de Francia, in 1811. While in power, Rodriguez de Francia envisioned a utopian melting pot society and forced different ethnic groups to intermarry with one another. This policy eventually led to the rise of a separate group of “mixed ethnic” people called mestizos. In the meantime, Rodriguez de Francia cut off relations with the rest of South America, and Paraguay was fairly isolated from the rest of the region until the Paraguayan War of 1864. At this point, the Paraguayan dictator at the time – Francisco Solano Lopez – led Paraguay into war against a triple alliance of Argentina, Brazil and Uruguay. Over the course of the six years the country was at war, there are estimates that up to 90% of the Paraguayan population was decimated during the grossly overmatched war. Which brings us back to how pira caldo came about. During the harsh and severely rationed periods of the war, Paraguayans needed to find a way to consume a day’s worth of calories and nutrients in as little as one meal. 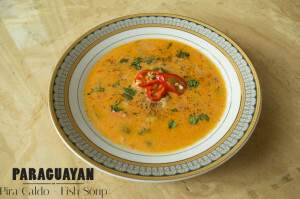 The Guaraní people – the largest group of indigenous peoples in Paraguay – were already huge consumers of surubi and other seafood, so pira caldo emerged as an extension of existing eating habits matched with the need to get a lot from a little. 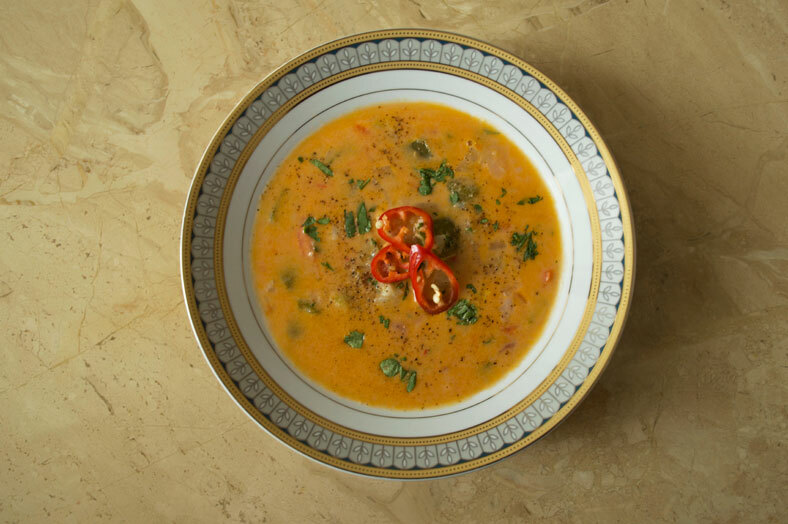 Like we said above, pira caldo is a very rich and wholesome soup. 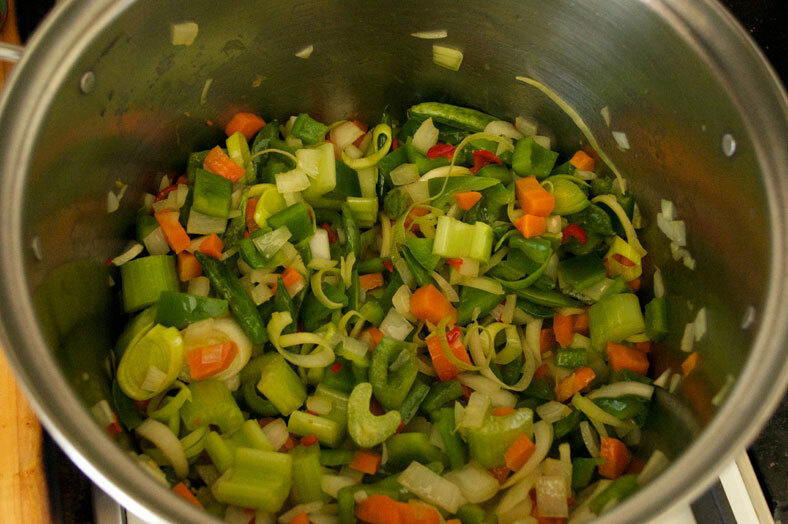 With one serving of pira caldo, you might very well get a whole day’s worth of nutrients. Before diving into the recipe itself, it’s helpful to breakdown the actual name “pira caldo.” In Spanish, the word caldo is translated as “broth” in English, and pira means “fish” in the Guaraní language. Therefore, at its core, pira caldo is a fish broth (but a very rich one at that). 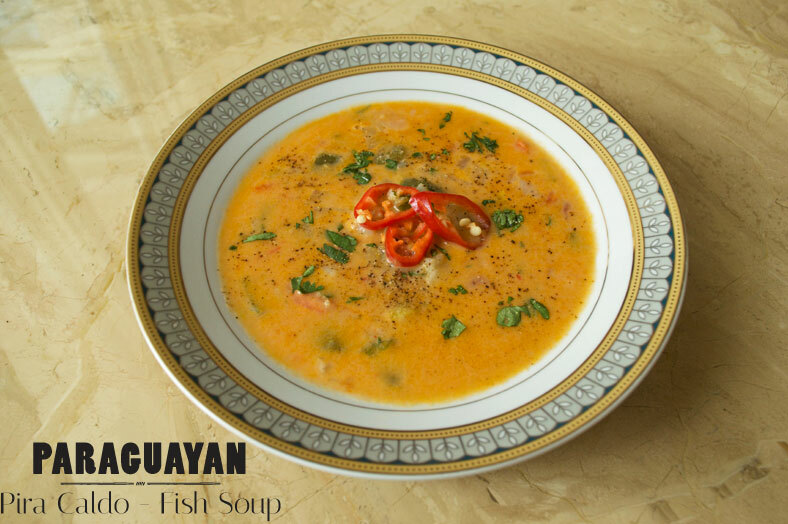 Traditionally, pira caldo is made with a fish called surubi, a freshwater catfish-like species found in river basins throughout South America. Surubi – which has what seems like hundreds of other names for it – is very common to find in other Paraguayan and Guaraní dishes since it’s a rich source for protein and omega 3 fats. 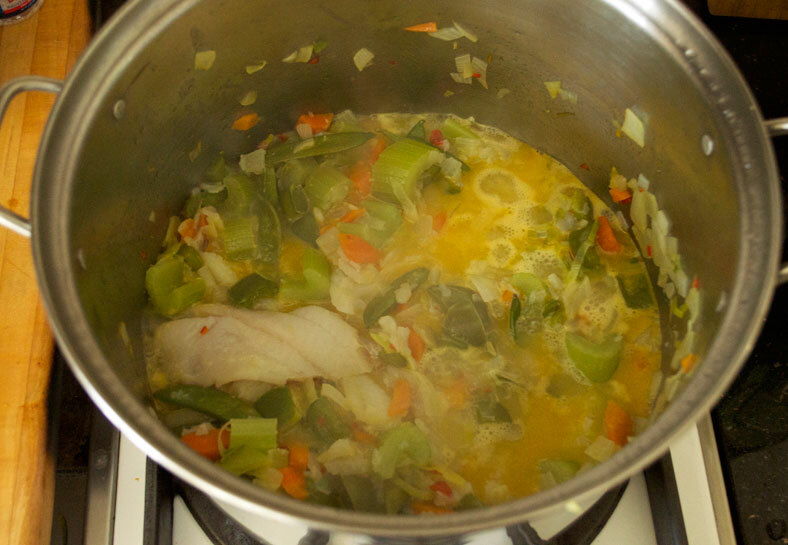 Along with the surubi, however, is a whole slew of other ingredients for pira caldo. Depending on other recipes you find, there will be all sorts of vegetables added as well. Finally, pira caldo ends with the addition of dairy, from milk and Paraguay cheese, a special type of cow milk and curd soft white cheese. Preparing pira caldo is simple. 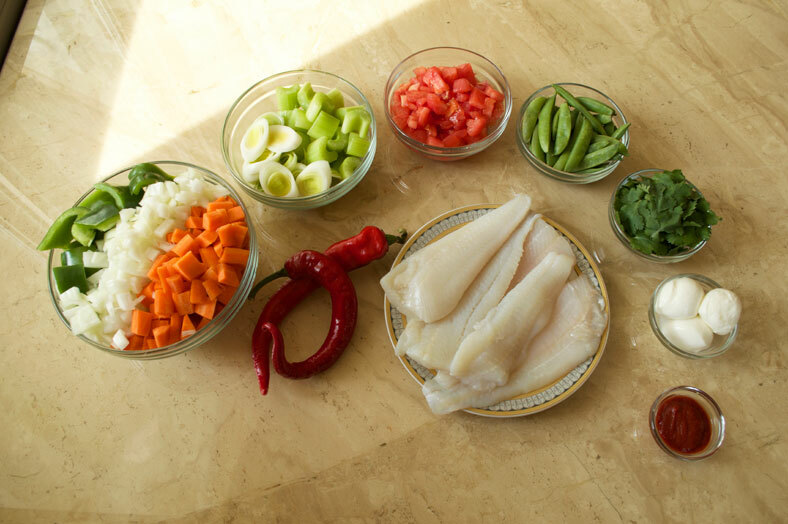 The first step is to combine all the vegetable ingredients into a stockpot and to cook together – either with oil or animal fats – prior to adding the fish. The vegetables are then deglazed with a bit of water before placing the fish on top of the vegetables. 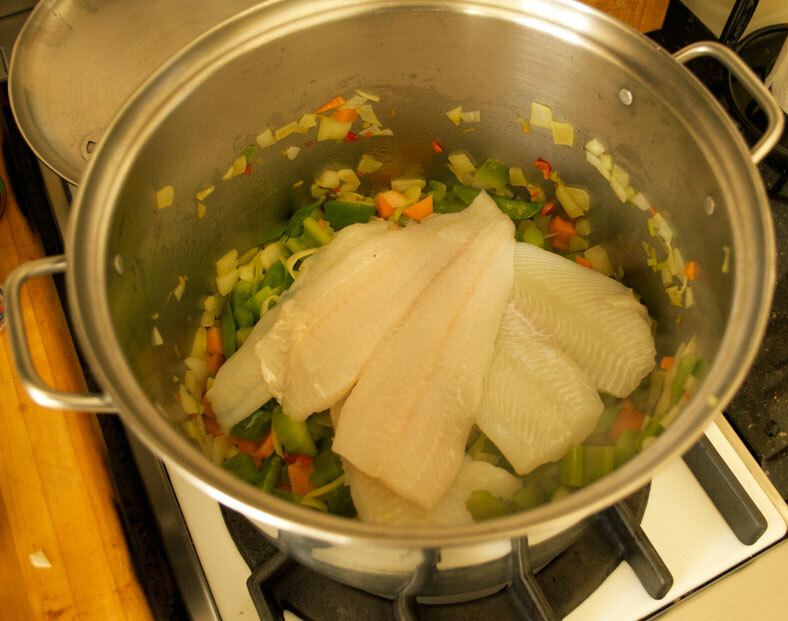 Once you place the fish on the vegetables, you cover the soup and let the fish and vegetables steam for a few minutes. To round off the soup, the broth is made with additional water and flavorful liquids like white wine and milk. 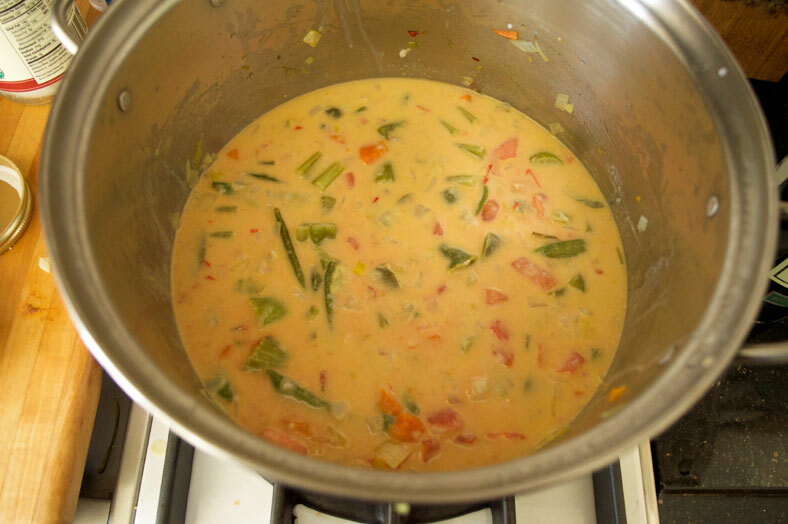 Depending on the recipe, everyone’s pira caldo might differ in what types of liquids are used and in what proportions. There doesn’t seem to be a consensus by any means here. 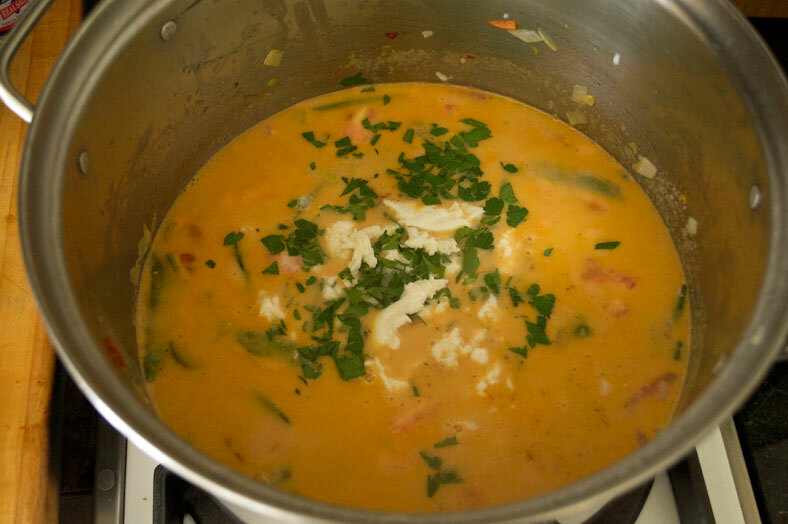 As the broth flavors and the soup is nearly finished, the Paraguay cheese is added to thicken the soup (and give it more caloric content to boot), leaving you with a thick, wholesome pira caldo ready for consumption. First off, trying to procure surubi from our local grocers for this pira caldo proved to be a trickier task than we expected… much like it was for the Bangladeshi shorshe ilish/salmon. Given the futility of the search, we learned that any type of meaty white riverfish would do. Flounder, the fish we used in our recipe, is a great alternative if you can’t find surubi either. One interesting tip we found in our research is that some recipes – although not in our original reference recipe – would put the surubi through a peppermill or a similar grinder to get the fish flakier and more spread out throughout the soup. This is completely up to you if you’d like to have this type of hyper-shredded fish. For simplicity’s sake, we didn’t do it with our flounder and opted to manually flake the fish as it was steamed through instead. When it came to the dairy ingredients, we made some creative adjustments as well. After a test batch with coconut milk instead of regular cow’s milk, we found that the pira caldo came out smoother and less overwhelmingly filling when using coconut milk. That’s just our take, though, and you can certainly make your pira caldo with cow’s milk as it was originally intended. For the Paraguay cheese, we had issues finding this ingredient in our local groceries as well. Instead of using Paraguay cheese, we opted to use another soft white cow’s milk cheese that is far easier to come by: mozzarella. Finally, based off of the suggestions of other recipes, we added various vegetables and, since we can never get too far away from spicy, some chilis to top it off. Even as a soup remarkably without spices, it is a delicious, wholesome and highly nutritious soup that can easily tide you over for a long while if needed! Have you had surubi in pira caldo before? Comment below!